Taylors’ history begins with the opening of the Chick Springs resort community in 1840. 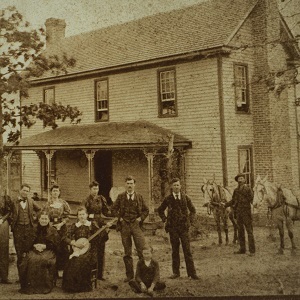 Nearby in 1869, Alfred Taylor finished acquiring all the land that would eventually become the heart of Taylors and successfully lobbied for the railroad to be built through his property a few years later. A spur track known as Taylor’s Turnout developed into Taylor’s Station, which led to the economic and civic center shifting from Chick Springs in the 1880s. By the early 1900s the apostrophe was lost from the name.